Georgetown bed and breakfast travel guide for romantic, historic and adventure b&b's. 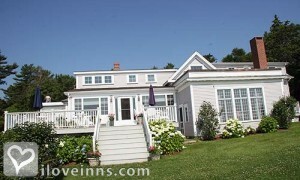 Browse through the iLoveInns.com database of Georgetown, Maine bed and breakfasts and country inns to find detailed listings that include room rates, special deals and area activities. You can click on the 'check rates and availability' button to contact the innkeeper. Georgetown is regarded as an undiscovered jewel. It is sprinkled with fishing villages and tiny resort communities that are as unspoiled as the island's landscape of hills, rocks, beaches and waterways. Georgetown's Reid State Park is one of maine's most beautiful seaside reserves, including sandy beaches, headlands, dunes, and salt marshes. By Coveside Bed & Breakfast. Georgetown Maine is a delightful Island with 80 miles of incredible coastline for the perfect day of boating, fishing, hiking, eating, and local shopping. Be sure to visit the beautiful harbor known as Five Islands, a lovely scenic spot and home to the Five Islands Lobster Company. It is less than an hour from Portland, ME. By Grey Havens Inn. About five miles from Woolwich, Maine is the beautiful island of Georgetown. Rustic and quiet, Georgetown boasts of eighty-two miles of serene shoreline that is perfect for romantic walks because of its sandy beaches, quaint harbors, cozy and protected coves and unending marshes. Georgetown is also a cornucopia of some of the most amazing varieties of wildlife with moose, deer, osprey, bald eagles, and harbor seals. Georgetown bed and breakfast innsprovide a great vacation atmosphere for you and your loved ones. Restaurants offer a dining experience you would not want to miss. On the southern part of the town,take home some hand-painted Maine pottery. A few miles more you will find the great hiking trails at the Josephine Newman Wildlife Sanctuary. By Coveside Bed & Breakfast. Georgetown, Maine is a gem. The island has more than 82 miles of coastline, with fabulous sandy beaches, private sheltered coves, quaint harbors, rocky headlands, and marshes filled with abundant wildlife including osprey. Harbor seals, bald eagles, deer and moose are also sight to see. Activities include boating, fishing, hiking, shopping for local wares and dining on fresh local lobster. By Grey Havens Inn. Georgetown, Maine is a gem. The island has more than 82 miles of coastline, with fabulous sandy beaches, private sheltered coves, quaint harbors, rocky headlands, and marshes filled with abundant wildlife including osprey. Harbor seals, bald eagles, deer, and moose are also sights to see. Activities include boating, fishing, hiking, shopping for local wares and dining on fresh local lobster. By Grey Havens Inn. Georgetown is an island on Midcoast Maine. While quiet and rural, it is home to the spectacular Reid State Park, with miles of sandy beaches and rocky headlands, and to the Five Islands Lobster Company, always rated among the most best lobster wharfs in the state. By Coveside Bed & Breakfast.